The 10th born in a poor farming family of 11 kids, Gerald understands the need to work hard in school, as his older siblings have been unable to escape poverty due to a lack of education. 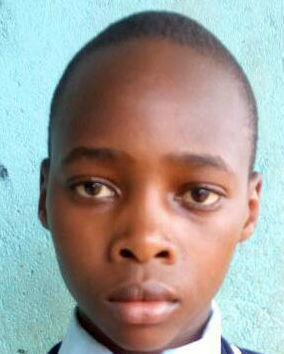 His desire to help his family enabled him to attain a very good score that would have seen him gain acceptance into a high-ranking secondary school in Kenya. However, his parents could not afford to send him, and he now attends at a day school in his village, where he can at least continue his education. He has continued to perform very well in his 9th grade studies and he is very driven and committed to his schooling. Unfortunately, Gerald is constantly sent home from school due to unpaid school fees. He has to work very hard to catch up with the other students, and relies on his peers for class notes and explanations of difficult topics. However, he is a very disciplined young man whose strong belief that he is chosen to bring his entire family out of poverty will drive him to greater heights. Now that he’s sponsored by Moja Tu, Gerald can concentrate on his studies and fulfill his obvious potential. He now has the emotional support to remind him that he is capable of achieving great things.